A.G Appel Enterprises team is highly skilled and knowledgable when it comes to your residential excavator jobs. From digging foundations, to information on obtaining the correct permits, A.G Appel is there to assist you the whole project. Not sure what size or machine you need? Contact us to speak to one of our experts. 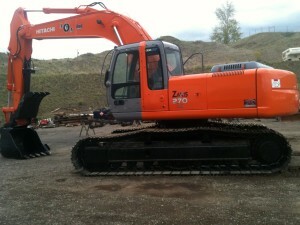 We have full sized to mini excavators including 290,270, 225, 200, 308 and JD35’s with demolition hammer attachments.